Macaroni and cheese is the classic make-it-fast comfort food. Whether as a side item or as the main course, it’s the kind of thing you warm up to on a cold day or pair with fried chicken during an evening feast. 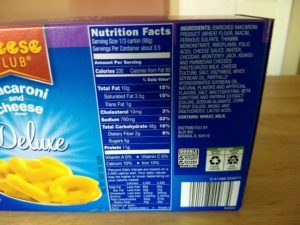 Aldi has a couple of Regular Buy mac and cheese options, including a powder version and a shells and cheese version. In addition, Aldi occasionally stocks a few Special Buy (ALDI Find) varieties. 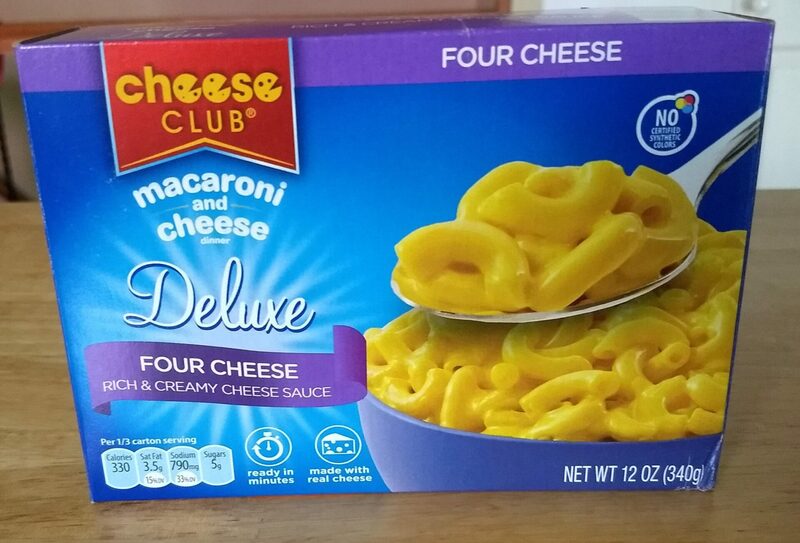 It’s those limited-run versions that we’re looking at here: Deluxe Original Cheddar, Deluxe Sharp Cheddar, and Deluxe Four Cheese. Before we continue: there were a few similarities between the three that we noticed. One, they are all pretty similar in terms of nutrition, which is to say that they are all pretty high in sodium and fat. (We’ve included photos of the nutrition information below.) Two, they all have identical cooking instructions: put 6 cups of water into a saucepan, bring to a boil, add the noodles, cook the noodles for 8-10 minutes, drain the noodles (but don’t rinse), and then add the cheese sauce. Finally, at the time of purchase, all three ran the same price: $1.19 for a 12-ounce box. Overall, most of us thought this was pretty good. 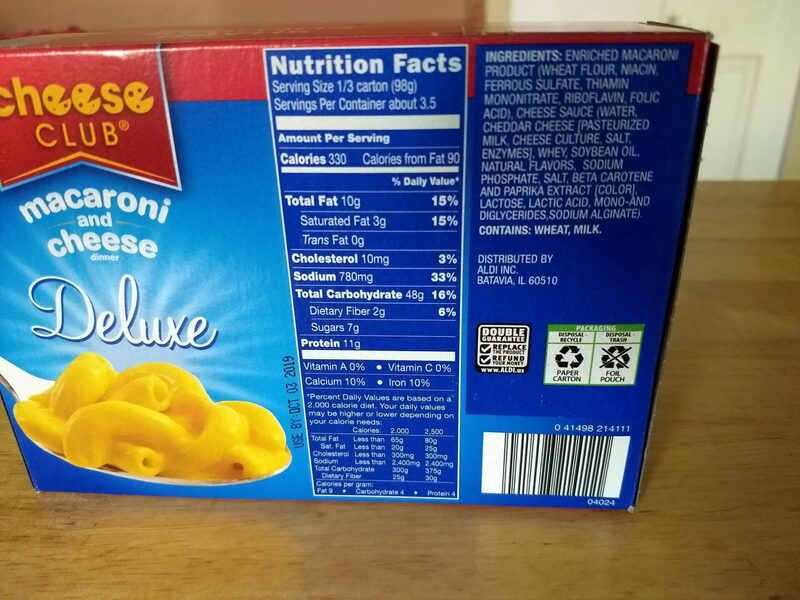 We were a little unsure about the cheese sauce, which was thinner than what came in the other two boxes, but the noodles certainly had plenty of flavor. 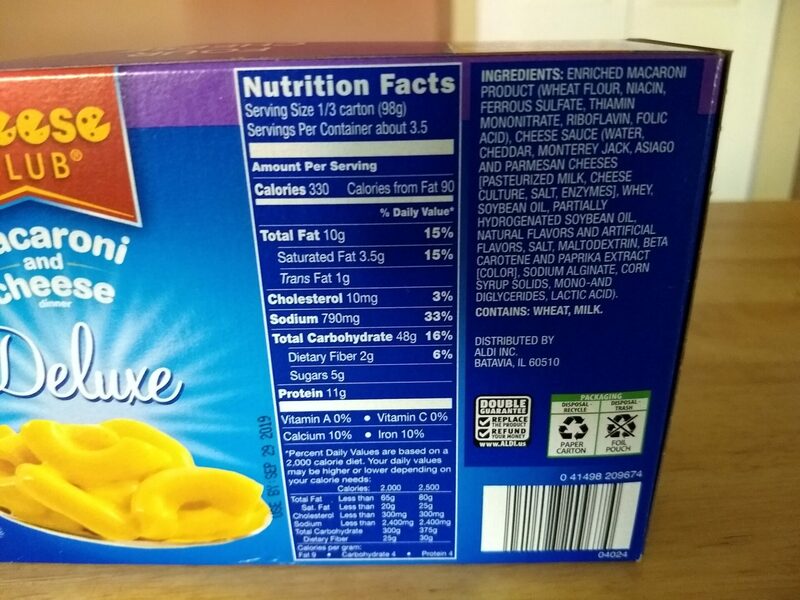 It did have the saltiest taste of the three mac and cheeses, which is strange considering that they all have the same sodium content. We were a little divided on whether the saltiness was a deal-breaker or not; I personally thought it was fine, but not everyone did. 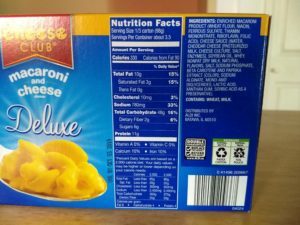 Original Cheddar nutrition information. Click to enlarge. 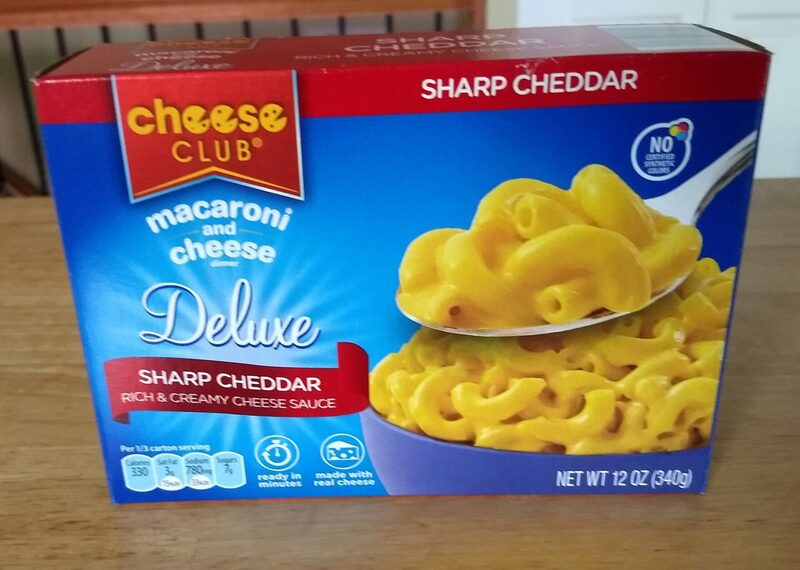 We generally expect sharp cheddar to have a little more bite than mild cheddar, and while we’re not sure this had a ton of bite, per say, it did have a clear cheddar flavor. We also thought it was less salty than the original cheddar, and for those who didn’t care for the saltiness of the original, this was a welcome development. The cheese consistency of this pouch was a little thicker than the original. 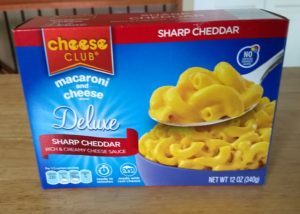 Sharp Cheddar nutrition information. Click to enlarge. Right from the start, we could tell this one was a little different. The cheese was the thickest of the three, coming out more like a paste than the others, and required more stirring to mix it in with the noodles. The payoff was that, once it was stirred in, it was the most “cheesy” of the three, and the least salty. 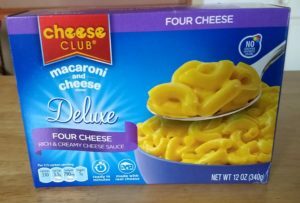 We were a little divided in our house on whether we liked this more than, say, Kraft Four Cheese Macaroni and Cheese, but I personally did, and this costs less money, actually. We all do agree that this gets the edge over the sharp cheddar as the best of the three. 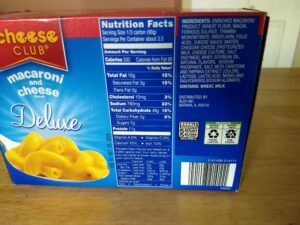 Four Cheese Nutrition Information. Click to enlarge. 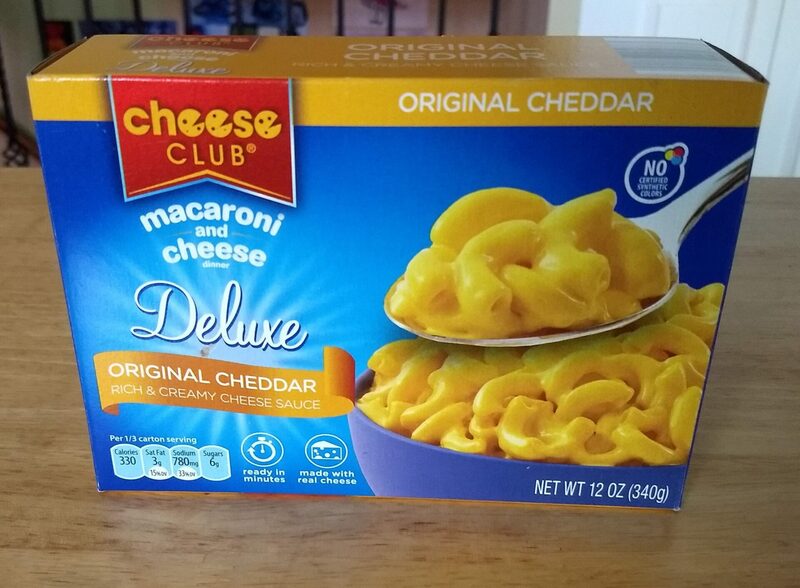 Overall, all the Cheese Club Deluxe macaroni and cheese types are pretty good. The Four Cheese and Sharp Cheddar got the top votes in our house, thanks to the quality flavors. 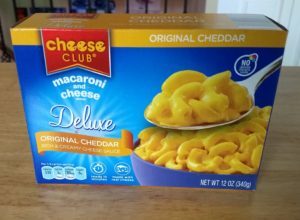 The Original Cheddar was a little less popular due to the salty taste, but all three were, in our view, superior to Aldi’s Regular Buy Cheese Club powder mac and cheese. For that reason, we think they’re worth a look when they happen to be in stores.